Puerto Rico’s public school system has been teaching English as a second language for more than a century but has been unable to increase proficiency rates among students at all levels. A lack of physical and economical resources, combined with a disconnect at the governmental and educational levels, have resulted in an island population that not only does not speak English but sees the language as little more than a tool for employment. Many Puerto Ricans have little or no opportunity to actively connect what they learn in the English classroom to their daily lives due to the absence of a true English-speaking environment. It is possible that video games may serve to bridge the gap between academic content and home life by offering persistent opportunities to use English in authentic contexts and in real time. Puerto Rico’s educational system suffers many of the same problems as other government agencies, such as a lack of funds and equipment. However, it is especially flawed where learning the English language is concerned. The Department of Education has been unable to raise proficiency scores in English beyond 34% or improve the 87% of its schools that are unable to achieve adequate yearly progress (AYP) goals, and English has consistently lagged behind other subjects in this area (PR Department of Education, 2011). A constant change in leadership and policy after every four-year election cycle has consistently derailed all attempts to implement a solid and transformational reform that will bring the public school system into the 21st century (Ladd & Rivera-Batiz, 2006). The changes made to the Puerto Rican public school system since 1949 have returned classes to an almost entirely Spanish-speaking environment, but they were unable to erase what is believed to be an underlying resistance to the English language. The population has increasingly espoused the need for English as a vital tool for employment while simultaneously separating it from daily island life. Resnick (1993) and Vélez (1996) discussed these phenomena almost two decades ago, identifying the population’s island-wide “motivated failure” to embrace English as a silent means of cultural resistance while it simultaneously recognizes the importance of learning the language in order to find better jobs. Vélez argued that the problem lies with Puerto Rico’s acceptance of bilingualism on an individual level, when it should instead aspire to achieve it on a societal level. According to Baleghizadeh (2008), colonialism typically leads to societal bilingualism; however such was not the case with English in Puerto Rico, most likely due to the hands-off approach of the U.S. government towards assimilation after the failure of Americanization. Despite this increased level of cultural and social autonomy, after a century of English instruction as both a first language (EFL) and second language (ESL), Puerto Rico should undoubtedly be more proficient in using it in all forms. Lamentably, this is not the case, and as of2010, a majority (85%) of the total population indicated that they speak it “less than very well” (U.S. Census, 2010). The Department of Education has been consistently unable to make any headway with English in the public school system, and traditional teaching methods have proven to be unsuccessful in increasing English proficiency or changing the attitudes towards the language. Students today are also quite different than those of previous populations in that they have greater access to technology. Christened “digital natives,” by Presky in 2001 (as cited in Wilson, 2012) they are accustomed to a world that has high speed internet, virtually all information within reach of a Google search, and most of their media, such as movies and music, in a predominantly digital format (Bennett, Maton & Kervin, 2008). They take this technology with them everywhere, and many are more adept at using it than their parents. Unfortunately, for economic reasons this technology is not available to all learners, which prohibits the universal adoption of digital attitudes in the classroom, no matter how motivated and technologically proficient and educators may be. In light of this situation, it has become apparent that new approaches to English language teaching must be examined if English language educators hope to keep their students motivated and positive towards language learning. Efforts should perhaps be made to make such technology available through the classroom to those learners who do not have access to it at home or in their communities (Thomas, 2011). This would open a new dimension of learning to students who are accustomed to only using textbooks and pencils, while simultaneously bringing the knowledge and experience of students who are proficient with technology into the classroom dynamic (Donnelly, Jewett, Tropp Lamen, & Wilson, 2012). One of the fastest-growing areas in the use of technology in English language teaching is the use of video games as a means to practice reading comprehension, oral skills, and vocabulary use. Gee (2005) contends that video games force players to use much of the same schema they apply in other areas, such as critical and lateral thinking and risk-taking. Moreover, he argues that video games apply a safe context in which learners can use trial and error to acquire competence through performance, instead of being expected to achieve competence first and then demonstrate proficiency. According to him, video games do a better job of simulating how people actually learn in the real world (by doing), and they provide real time, context-driven scenarios that can have consequences, much like real life (Gee, 2007). Squire (2005) criticizes the traditional organization of modern schools, arguing that the focus on social control over learning causes many students to struggle. Using the game Civilization III in his classes, he shows that video games offer these struggling students a means by which they can demonstrate their competence in a non-traditional manner. While students who do not respond well to the game or are not interested can rely on traditional learning tools, video games offer another way to reach a broader population of learning styles. Gee and Squire are not the only ones recognizing how video games can be educational. VanDeventer & White (2002) show that highly-skilled video gamers use of their expert abilities for gaming in many of the same ways that they apply them in other domains. They also determine that video gamers operate along a continuum of skill levels ranging from novice to expert. The concept of video gaming as a means to teach and learn English has also generated interest in the game development community among companies such as Sony (through its video game division, Sony Computer Entertainment of America). Professor Edd Schneider of the Department of Information & Communication Technology at The State University of New York (SUNY) at Potsdam and one of his graduate students Kai Zheng demonstrated this potential at the 2007 Game Developers Conference when they presented research involving middle school children in Shanghai, China. For two hours a day over the course of five months, the researchers used a voice over internet protocol (VoIP) connection and Flagship Industries’ group-communications program Ventrilo to play a myriad of online games with the children, ranging from Scrabble to strategy games, all in English. The researchers could play any game they chose, so long as it was in English. The response from the students was overwhelmingly positive, and their teachers reported that motivation and enthusiasm was consistently high (Waters, 2007). Schneider and Zheng contend that games such as World of Warcraft have vast potential for offering real-time interaction and communication because of their vast, persistent worlds. Somewhere, someone is always online, and since the game is entirely in English, learners must be able to navigate menus, buy and sell weapons and items, accept and complete quests, and interact with other members of their party. Exploring a dungeon or tackling a dragon takes coordination and teamwork, and the use of in-game chat allows players to effectively formulate and execute strategies with each other in the natural flow of discourse (Waters, 2007). Educators have long argued that learners are more motivated to read when they are given material that interests them. Using authentic texts can spur learners to read what is assigned and also motivate them to keep reading beyond the classroom. Krashen (2007, 2013) favors the use of narrow reading (focusing on books on a single topic by a single author) to ensure comprehensibility. Additionally, the syntax and vocabulary they acquire from reading material on topics of interest are often carried over to other areas. Krashen espouses what he calls “Free Voluntary Surfing,” (FVS), which refers to learners using the internet to find and enjoy authentic texts. This is a variation of his “Free Voluntary Reading” theory, and he suggests that learners who are able to freely choose reading material that interests them can apply this same method to their time online. It may thus be plausible to hypothesize that the benefits of narrow reading through focusing on a single author or subject matter in books and on the internet can be applied to certain video games when used in the correct circumstances. A lack of technology in the classroom can cause teachers to ignore key ways in which many children perceive the world today and interact with their environment. The proliferation of smart phones, tablets, and laptops among young people today offer evidence that there is a large avenue for engaging diverse communities that educators may well be overlooking (With Cell Phones and Laptops, 2010). Today’s kids have never known a world without high speed internet, social networking, instant and text messaging, and a persistent online presence. Studies also show that children who play video games operate along a skill continuum, ranging from novice to expert, increasing and refining their skills with practice. Additionally, children who are expert-level video gamers have demonstrated expert characteristics such as qualitative thinking, self-monitoring, decision-making, and superior memory – all in ways similar to how they are displayed in other domains (VanDeventer & White, 2002). Thus, while the schools themselves may sometimes be lacking in certain resources, this may not directly reflect a lack of student enthusiasm and motivation. Puerto Ricans in general are very technologically proficient, and although less than half 40% of the population has internet access, an overwhelming majority of those that do (86%) uses some type of social network, such as Facebook (Alvarado, 2011). While there are no similar statistics available regarding video game usage (Puerto Rico is included with U.S. numbers) Research regarding using video games as a means to teach English has been conducted on the island (Vargas Batista, 2006 & Cruz Rodriguez, 2011), but video games have not yet been officially tested as a potential English language teaching tool in the Puerto Rico public school system. It is currently unknown if students, specifically at the elementary level where formal English instruction begins, would be willing to use them to improve their vocabulary and speaking proficiency. Students who are gamers may not be willing to integrate their hobby with schoolwork, and those who do not play video games may be apprehensive about using the technology for their English language studies. If educators hope to create true bilingual citizens, then what is taught in the classroom must be actively used in the home and daily environment. Puerto Rican ESL learners do not have this opportunity under normal circumstances, and the variety of games, combined with the proliferation of high speed internet throughout the island, may offer a potential means by which learners can speak and interact in English in authentic, real time contexts that have consequences and are of genuine interest to them. Traditional teaching methods have not produced a bilingual populace, and it may be time to look for new alternatives. Baleghizadeh, S. (2008). Societal bilingualism and second language education. Human Sciences,56, 43-52. Bennett, S., Maton, K. & Kervin, L. (2008). The “digital natives” debate: A critical review of the evidence. British Journal of Educational Technology, 39(5), 775-786. Donnelly, A., Jewett, P., Tropp Lamen, T. & Wilson, J. (2012, March). Under the influence of technology: Rethinking professional development. Language Arts, 89(4), 263-264. Gee, J.P. (2005). Good video games and good learning. Phi Cappa Phi Forum, 85(2), 34-37. Gee, J. P. (2007). What video games have to teach us about learning and literacy. New York, New York: Palgrave Macmillan. Krashen, S. (2007, July). Free Voluntary Web-Surfing. 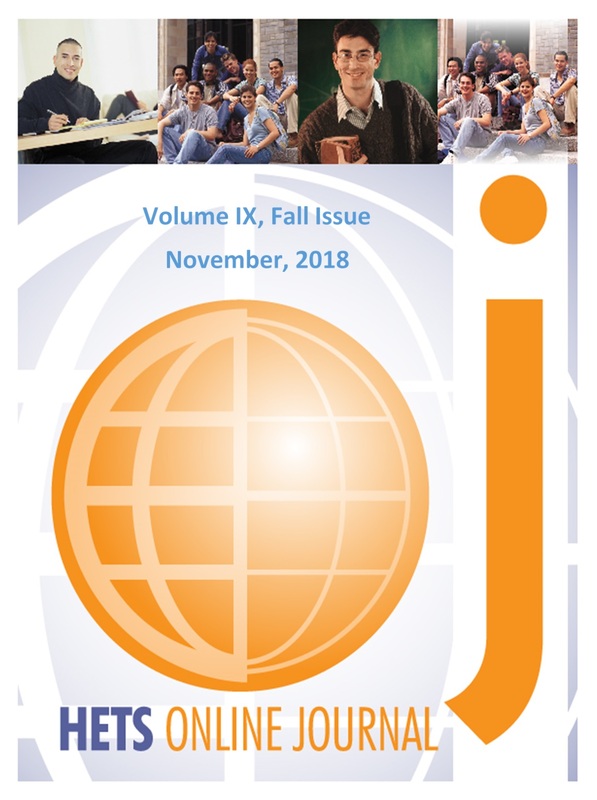 International Journal of Foreign Language Teaching, 3, 2-8. Krashen, S. (2013). Should we teach strategies? Electronic Journal of Foreign Language Teaching, 10(1), 35-39. Ladd, H. & Rivera-Batiz, F. (2006). Education and economic development in Puerto Rico. In Collins, S., Bosworth, B. & Soto-Class, M. The Puerto Rican Economy: Restoring Growth (189-238). Washington D.C.: Brookings Institution Press. Resnick, M. (1993). ESL and language planning in Puerto Rican education. TESOL Quarterly, 27(2), 259-275. Thomas, M. (Ed.). (2011). Deconstructing digital natives: Young people, technology and the new literacies. New York: Routledge. VanDeventer, S. & White, J. (2002). Expert behavior in children’s video game play. Simulation & Gaming, 33(1), 28-48. Vélez, J. (1996, June). Towards a language policy that addresses Puerto Rican reality. Rethinking English in Puerto Rico. Symposium conducted at the University of Puerto Rico, Río Piedras, Puerto Rico. Wilson, J. L. (2012). Deconstructing digital natives: Young people, technology, and the new literacies. Language Arts, 89(4), 263-264.